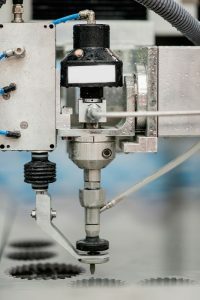 In the industrial world of manufacturing, there are several processes and methods. Most of these processes encompass cutting as an important part for building or manufacturing an article or object. Thus, the cutting process has evolved immensely over the decades in order to aid the entire process of manufacturing a certain product. With the world of machinery is progressing every day, there are a plethora of options for waterjet cutting tools available in the market. The waterjet is regarded as one of the best cutting techniques that give high precision and smooth cutting. This cold-cutting process is considered a versatile process of cutting since it has the ability to cut almost any type of material. 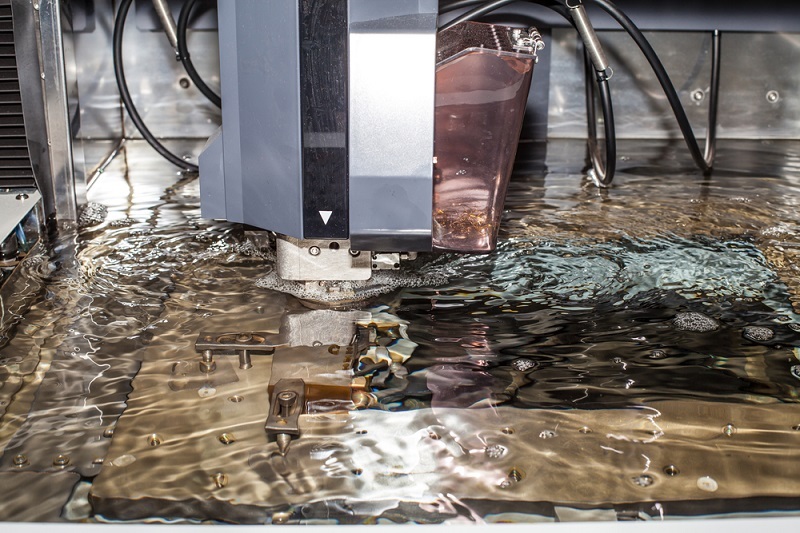 For the cutting process, the waterjet uses an extremely high-pressure stream of water along with an abrasive grit. Due to this, its range of cutting different materials highly increases. Pressure generation – This is done using the high-pressure pump to generate a high-pressure stream of water of about 94,000 psi. Conversion of pressure into velocity – A tiny nozzle or jewel orifice is used for converting the water pressure into velocity. Using grit or garnet – With supersonic water stream, the usage of grit or garnet increases the cutting power of the jet multifold. The cutting tool material should be stronger than the material to be cut. The cutting tool should be strong enough to soak up the heat produced while cutting the material. Moreover, it should also have the ability to cater to different cutting angles as per the cutting requirements so as to provide precise cutting at the cutting edge and to avoid the entire cutting tool from coming in touch with the material that is to be cut. With the technology advancing, new cutting tools have made a place in the market. One such tool is the water jet cutter. Pure water – For precise cutting of soft materials such as a gasket, foam, paper, etc., the pure water jet is made use of. Water with abrasive – For versatile cutting of hard materials like marble, stone, thick metal sheets, ceramics, etc., pure water is mixed with abrasive garnet resulting in the abrasive waterjet stream. Capable of cutting any material – With the combination or blend of abrasive and waterjet, waterjet can cut any kind of material. Less heat generation – Waterjet cutting avoids any kind of overheating, thereby it does deform, compromise or affect the area adjacent to the cutting space. High precision and accuracy – Waterjets are extremely accurate when it comes to 3D cutting or fine contour cutting. No generation of hazardous waste – Adopting green technology, waterjet cutting does not create any hazardous waste and also allows for recyclability of scrap metal or material. With tiny nozzle, it also minimizes the use of water. 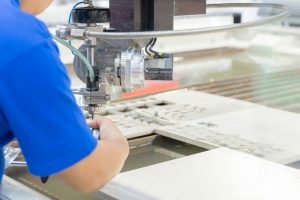 However, the waterjet cutting technology is extremely expensive and the cutting process with waterjet consumes a longer time than a traditional cutter. Perhaps the efficiency of waterjet cutting is excellent, thereby making it one of the most versatile cutting tools.